A food allergy is when your immune system mistakes a harmless food as a threat and sets off a false alarm. Food allergy symptoms include things like a runny nose, hives, wheezing, congestion, vomiting, diarrhea, or lightheadedness. More severe food allergies can cause anaphylaxis, which can lead to a coma or death. It can be hard to detect a food allergy because the type of reaction and the intensity of the reaction differ from person to person; but there are a number of tests that can test for possible allergies. No one is completely sure why, but food allergies are on the rise. According to the Centers for Disease Control and Prevention just over five percent of children 17 years old and younger have a food allergy. Although children can be allergic to a wide variety of food, the most common food allergies are milk, peanuts, eggs, wheat, soy, tree nuts, shellfish, and fish. Food allergies are less common in adults because most children outgrow them as they get older. Children are most likely to outgrow milk, egg, and soy allergies, but allergies to nuts, fish, and shellfish are much harder to outgrow. A food allergy is when your immune system mistakes a harmless food as a threat and sets off a false alarm. The first time you are exposed to the food, your body creates antibodies called immunoglobulin E (IgE) antibodies to fight off the perceived invader. The next time you are exposed to the food, the IgE antibodies help trigger the release of histamines to fight off the allergen. Sometimes people confuse food intolerances with food allergies, but the two are very different. A food allergy affects the immune system, but a food intolerance is caused by an inability to digest certain foods. Symptoms include things like headaches, burping, indigestion, or gas. Food intolerances are usually not dangerous, whereas a serious food allergy can be. Food allergies affect four systems or areas in the body: the skin, the gastrointestinal tract, the respiratory tract, and the cardiovascular system. In serious cases, anaphylaxis can lead to a coma or death, so be sure to seek emergency medical treatment right away. It can be hard to detect a food allergy because people’s reactions and the intensity of the reaction differ from person to person. Sometimes the reaction is immediate and sometimes it can take hours. For some it may affect several areas of the body, for others only one. So if you think that your child might have a food allergy, start taking note of your child’s symptoms and when they occur. Be sure to write down what foods your child ate before a reaction. Remember that sometimes it can take hours for the reaction to occur, so write down everything your child has eaten within the past several hours. Allergies can also be hereditary, so if somebody else in the family has allergies, asthma, or eczema, then it is more likely that your child may have an allergy. When you see your pediatrician, he or she will assess your observations and may also test for any other conditions that have similar symptoms—like lactose intolerance and celiac disease. Next your pediatrician will probably have your child tested for any possible allergies. Sometimes more than one test may be needed to make a determination. Skin Prick Test: This test is sometimes also called a puncture or scratch test. The test involves making a tiny mark or puncture on the skin on your forearm or back and then applying a drop of the allergen extract. The marks are very small and only cause mild discomfort. After 15 minutes, the doctor will examine the skin for any red, itchy bumps (also called wheals). If you have a wheal, it is a sign that you may be allergic to that substance. Blood Test: An allergen-specific immunoglobulin E (IgE) blood test is done to test for IgE antibodies. Because each allergen triggers a different kind of IgE antibody, doctors can see if you might be allergic to something based on the IgE antibodies in your blood. If your child has a dangerous reaction to a certain allergen, using a blood test is much safer than other tests. Food Challenge: When the skin prick test and blood test results are unclear, your doctor may have you do a food challenge—a highly accurate food allergy test. While under a doctor’s observation, your child will be fed increasing amounts of the suspected food, with an observation period between each dose, until a reaction is observed. Food challenges are sometimes used to see if somebody has outgrown a food allergy. Food Elimination Diet: This test involves eliminating the suspected food for two to four weeks to see if your symptoms disappear. The doctor might then have you reintroduce the food slowly to see if symptoms reappear. If your child has a food allergy, your pediatrician can help you put together a treatment plan that might include some of the following components. Avoiding allergens: There is no cure for food allergies, so your best bet is to avoid the allergen completely. 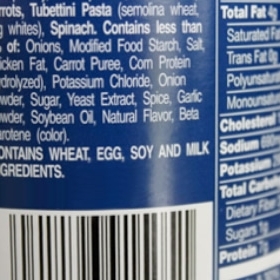 You will need to learn how to check food labels for any ingredients that may contain the allergen. For example, if your child has a corn allergy, you will need to avoid not only corn and popcorn, but also corn oil, corn syrup, dextrin and dextrose, fructose, starch, sorbitol, mono- and diglycerides, monosodium glutamate, malt, citric acid, confectioner’s sugar, corn flour, and many other ingredients that are derived from corn. It can make planning and preparing well-rounded and nutritious meals exhausting. Luckily, by law, packaged foods are required to list whether they contain some of the more common food allergens. Also, there are now a lot of blogs and other online resources that have recipes and tips for managing food allergies. Parents will want to be particularly careful when eating food that has been prepared by somebody else. Most other people are not as aware of which ingredients might contain the allergen as you are. Cross-contamination can also be a problem when preparing and serving the food. Managing symptoms: When the allergy is not severe, antihistamines can be used to treat some of the symptoms. Some children might also need an inhaler if they have asthma flare ups triggered by a food allergy. Epinephrine: Epinephrine is used to treat anaphylaxis or severe allergic reactions. It can also be used for children who have allergy-triggered asthma attacks. Children who have severe food allergies should have two epinephrine autoinjectors (EpiPens) always on hand in case of an emergency. If your child has a severe allergic reaction, administer the epinephrine right away and go immediately to the emergency room so that your child can be observed and receive any additional treatment. Make an emergency plan: If your child goes to school or daycare, you will want to create a food allergy action plan that outlines what steps caregivers should take in the event of an emergency.